No matter how big your home is, there never seems to be enough storage space. Clutter collects quickly, and sooner than you realize, it becomes a daily nuisance. It’s no wonder that approximately 10% of American households currently have self-storage units, according to the Self Storage Association. Fortunately, there are some simple ways to maximize household storage space. Here are several tips to help you combat the clutter. Empty room corners, blank walls, and even the space along furniture and cabinet siding can provide additional storage. Install hooks and racks, or a cubby shelf unit in a corner, with lesser-used items on the top levels. You’ll be amazed how quickly the room clears up as a result. Consider making more use of those less frequented areas of the house, like the garage, basement, and laundry room. Install a series of shelves and use them to store the room’s essentials. In a room with an expansive, open wall, consider investing in a wall-shelf unit instead of built-in cabinets. Create a household storage system with different containers. For example, wire baskets are ideal for hobby supplies, while filing cabinets will keep documents contained. Plastic bins make it easy to sort toiletries in the hall closet, and cubbies are suitable for miscellaneous sports equipment. Of course, renting a self-storage unit can be life-changing if you need more organization space than you have for items that get less frequent use. Especially helpful in smaller homes, multifunctional furnishings make it simple to reduce visible mess without sacrificing useful living space. Seek out clever designs, like room dividers with built-in shelving, an ottoman that stores books and throw blankets, or a floating island with attached racks and hooks. Higher spaces can also be useful when creating household storage space. 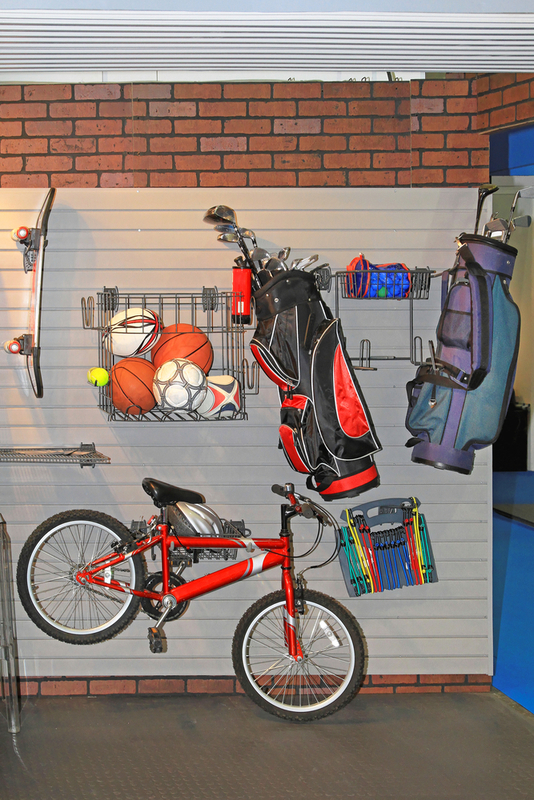 Consider hanging bicycles against the wall or installing sturdy racks that can support storage containers around the perimeter of a garage or living room. If you’ve got more clutter than these smart storage solutions can solve, it may be time for a self-storage unit at East “O” Street Self Storage in Lincoln, NE. The facility is highly secure and well-lit, with individual unit door alarms to prevent theft. Their units come in a wide range of sizes to fit every storage need. Visit their website for more information, or give them a call at (402) 489-0134.